The next seven days are the most important in the motorcycle launch calendar – as well as riding two of the most important new motorcycles, Motor Cycle News will have the first pictures of a host of other exciting new motorcycles. All of the new motorcycles will be uploaded to motorcyclenews.com the moment we get our hands on the. We’ve listed everything happening online throughout the week, and the links where you’ll be able to find the new motorcycles quickly and easily. Don’t forget you’ll be able to see all the new motorcycles in next week’s MCN with a detailed analysis and expert opinion – get it from Wednesday September 1. 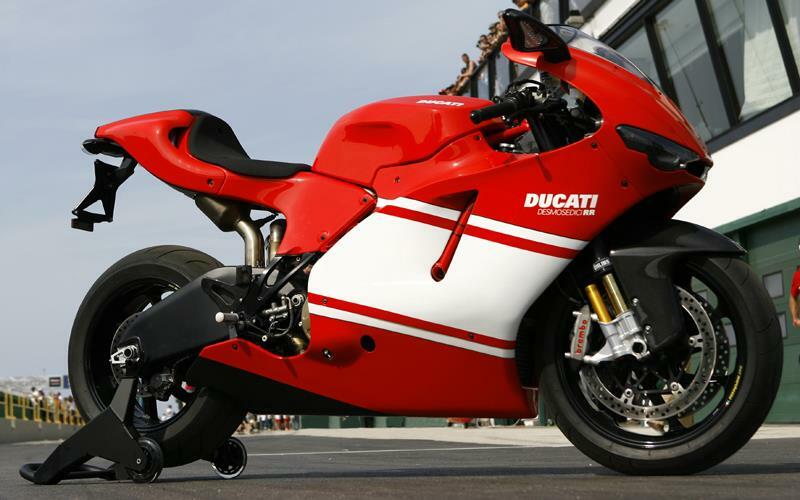 The Ducati Desmosedici RR been two and half years in the making, and MCN’s Michael Neeves will be the lucky man riding the finished motorcycles at the Misano circuit on Wednesday September 5, and he will be delivering the world first verdict on the Ducati Desmosedici RR MotoGP replica shortly after, with exclusive video to follow. Click here www.motorcyclenews.com/desmofirstride. The 2008 Suzuki GSX1300R Hayabusa is another motorcycle the world has been waiting a long time for – it’s eight years since the first Hayabusa was launched! Yamaha will be revealing its full 2008 motorcycle range on Monday afternoon (September 10).